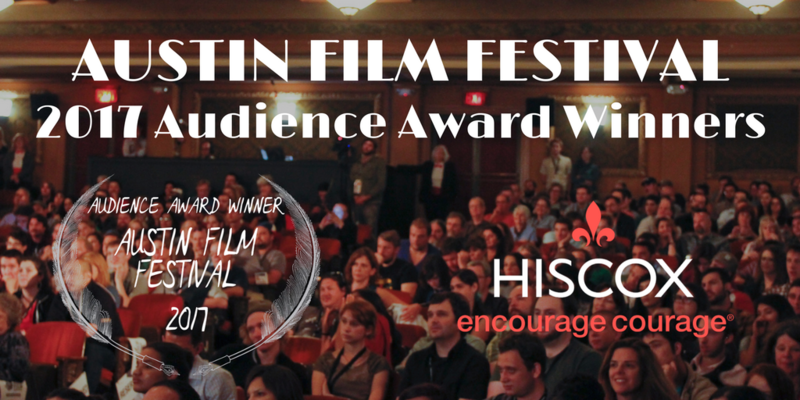 AUSTIN, Texas— November 7, 2017— Austin Film Festival (AFF), the premier Festival to recognize the writer’s contribution to film, is pleased to announce its 2017 Hiscox Audience and Courage Award Winners, Jury Film Competition Award winners, and the Script Competition winners. The 2018 Film and Script Competitions will officially open December 6, 2017. After each Festival screening, audiences voted for the Hiscox Audience Awards, recognizing film favorites among the 2017 slate. One film was selected to receive the Hiscox Courage Award. Voted on by the audience, the Hiscox Courage Award is presented to the film that best embodies the virtue of courage and to the filmmaker who best embraced the risk to share the story. The 2017 Hiscox Courage Award went to Coming to My Senses, directed by Dominic Gill. Coming to My Senses is a documentary feature that follows Aaron Baker, a man who faces insurmountable odds and learns to walk again after breaking his neck in a motocross accident, leaving him paralyzed from the neck down. The 2017 Producers Book & Print Source List is now available to download. This document contains loglines and contact information for the year’s top scripts in the Script Competition as well as the Print Source List of all films screened at the 24th Annual Austin Film Festival. The book can be downloaded here. Hiscox is a global specialist insurer, headquartered in Bermuda and listed on the London Stock Exchange (LSE:HSX). Our ambition is to be a respected specialist insurer with a diverse portfolio by product and geography. We believe that building balance between catastrophe-exposed business and less volatile local specialty business gives us opportunities for profitable growth throughout the insurance cycle. It’s a long-standing strategy which in 2016 helped generate gross premiums written of £2,402.6 million and a record profit before tax of £354.5 million. The Hiscox Group employs over 2,300 people in 13 countries, and has customers worldwide. Through the retail businesses in the UK, Europe and the US, we offer a range of specialist insurance for professionals and business customers as well as homeowners. Internationally traded, bigger ticket business and reinsurance is underwritten through Hiscox London Market and Hiscox Re and ILS. Our values define our business, with a focus on people, quality, courage and excellence in execution. We pride ourselves on being true to our word and our award-winning claims service is testament to that. This information is neither intended nor should be construed to be a solicitation for the purchase of insurance by any US person or entity. For further information, visit www.hiscox.com.